This is an updated Known Issues thread. If you do not see an issue listed here, don't be alarmed. We are still working though and adding information to this thread. If you are still experiencing the resolved issues, be sure to restart your client and update via the launcher. Some issues may take longer to resolve as it may require a patch. 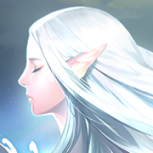 Please note while L2Wiki is a great guide, it currently does not support NA version of Lineage II Classic where our rates and localized names may differ. If you are experiencing an issue logging into your game client due to an XIGNCODE3 error, please contact support. The Refund tab does not allow you to buyback any items you sell to Vendor NPCs. There is a cosmetic bug on the quantity number for the Starter Pack, Tracker Pack, Hunter Pack, and XP/SP Rune Bundle in the L2 Store. The quantity displayed is from the items inside the pack and not the actual quantity of Packs you will receive. Clan Coins show up as Daily Coins on the NPC menu for the High Priest or Grand Master NPCs. The NPC to start the Whisper of Dreams quest line has the wrong name in the quest dialogue box. The NPC name is Banutu.